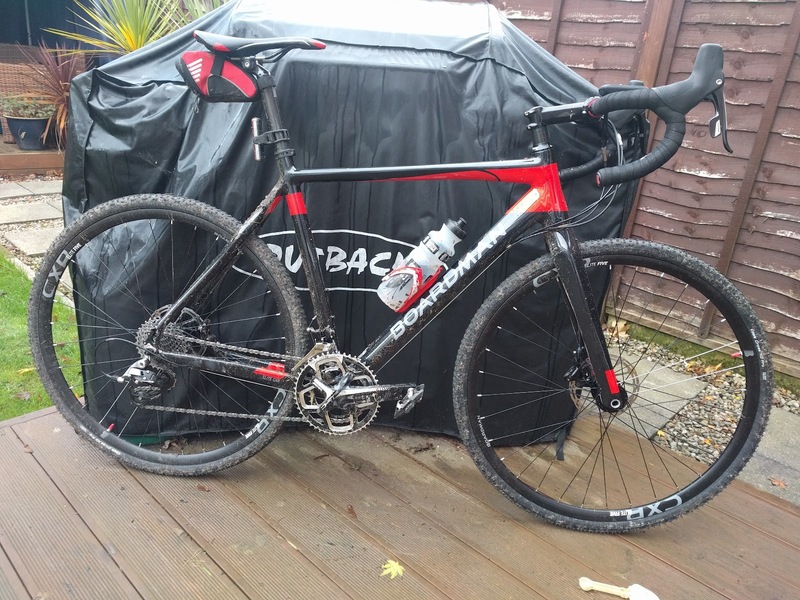 This is the entry model in the CXR / Elite line up which basically means that you can't buy this model from Halfords - it needs to come from Boardman directly (online or in-store). It's slightly frustrating as the "in Halfords" top end Hybrid (Hybrid Pro) has the X9 alloy frame (and it's great!) 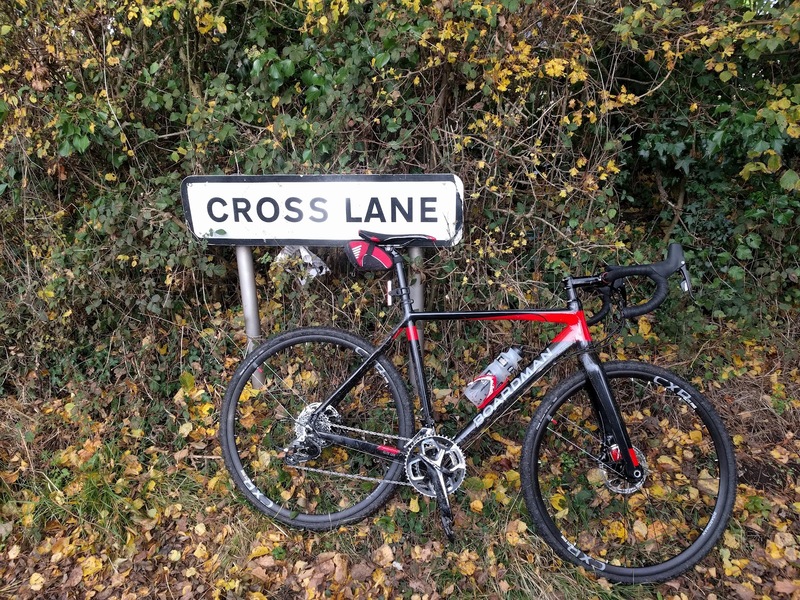 but the equivalent CX bike uses the X7 frame which is a fair bit heavier and spec is no where near as competitive - for the extra £300 the upgrades are more than worth it. 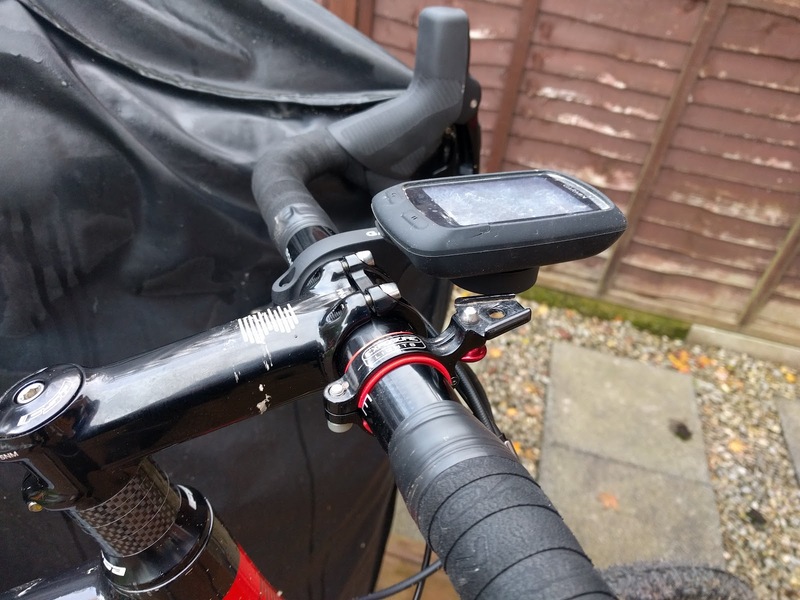 The SRAM Rival hydraulic groupset is a nice touch and one of the bigger upgrades over the step down model available from Halfords. I'll see how I get on with the gears as a 1x11 set up does seem a lot more simple for the UK's wet, muddy, winter trails and bridal ways but we'll have to see. The FSA Gossamer Pro chainset that comes with the CXR 9.0 is a step up from the FSA cranks that were originally on my 2014 Hybrid Pro - I didn't get on with these at all on the hybris and swapped them out for a Shimano 105 compact set within a few rides but this did mean having to change the factory fitted PF30 BB to a Wheels Manf PF30-Outboard BB; but this in hindsight was a good move as it's so much more robust. 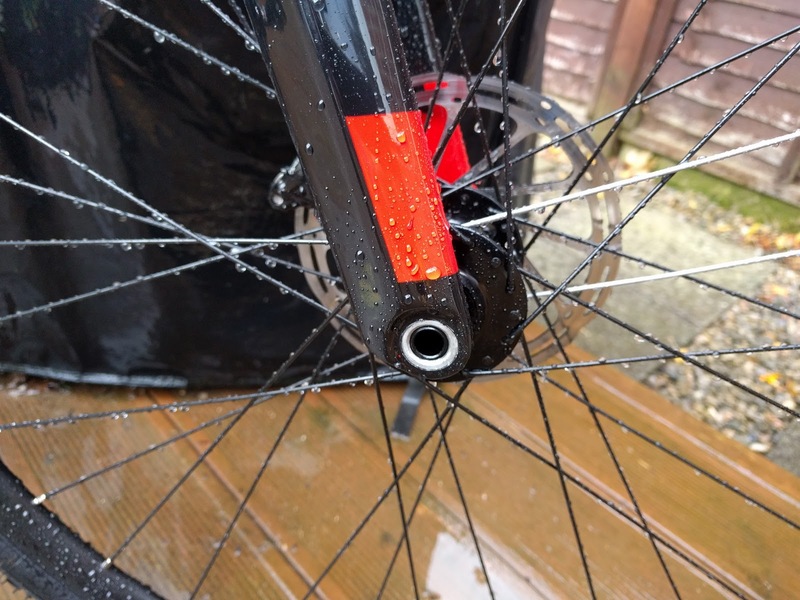 If I do opt for a 1x11 set up later down the line I'll be moving to a Wheels Manufacturing BB in place of the cheap plastic version that is currently on the bike! Today's ride was pretty much out of the box, I didn't even bother to adjust the saddle height as it was "about right". 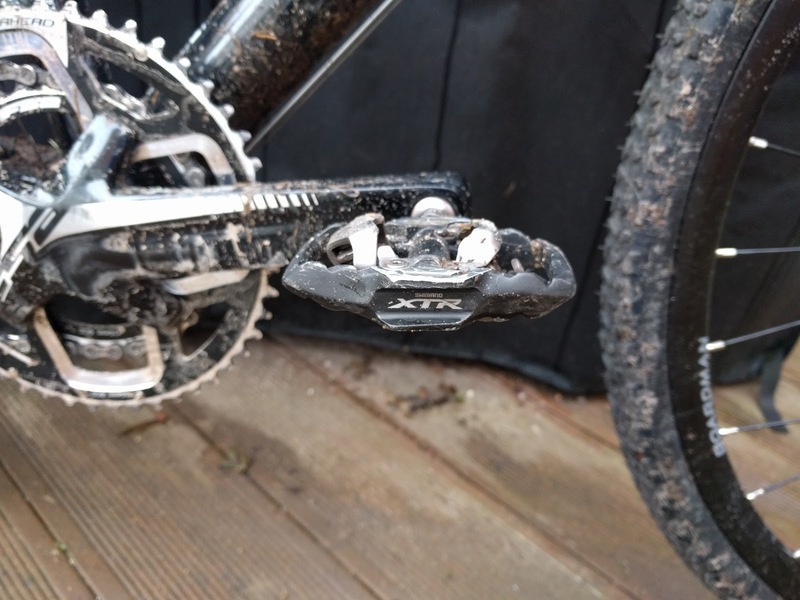 The only thing I had to do was add pedals and the Shimano XTR platforms were an easy swap from the mountain bike; they're reliable, light and allowed me to use my Shimano MW7 GoreTex boots which was a bonus taking the previous week's rain into account! Technically I also added my Garmin and Exposure light mounts before heading off although I'm going to have to hope that Santa comes up trumps and I get an smaller Exposure light in my stocking this year as the combination of my current light and "out front" Garmin mount don't work. 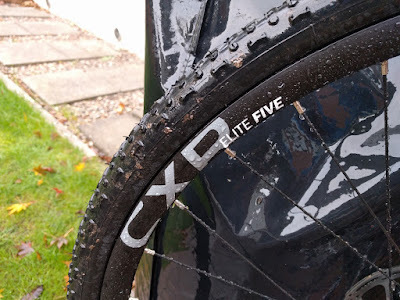 I rode the same on/off-road mixed route that I rode on the Hybrid Pro (with CX tyres) a few weeks ago so as to get some form of benchmark although the weather on today's ride was very different - sub zero to start and after a week of pretty heavy rain I was expecting way more mud than on the last outing. Let's see how those Vittoria tyres perform eh! The ride and feel of the bike was good from the off - as stupid as it may sound, it felt like riding a road bike. Agile and responsive and the frame felt stiff without flex - one of the reasons that I like decent alloy or Ti frames is that (thanks to being 92kg+) I get rear wheel/frame flex on carbon frames. The SRAM Rival groupset seems decent, I've never used SRAM gears of any description before so the action of up/down shifting took some getting used to during the ride but gears are gears aren't they and I've been riding long enough to cope! 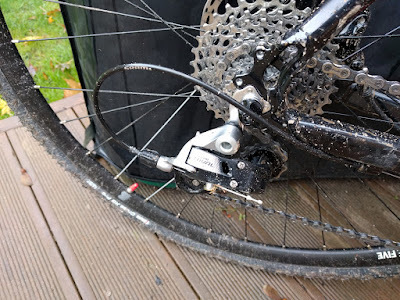 The brakes are good, while maybe not quite as sharp as my Shimano Ultegra Di hydraulics they bite and modulate well on both tarmac and when covered in mud. As the SRAM hydraulic system runs on Dot 5.1 oil I'd be interested to see if upgrading the brake callipers to Hope X2's would make much of a difference - I've always ridden and relied on Hope brakes and components (hubs, wheels, BB's and headsets) - it's not just about buying British although that helps, Hope components just work. On the subject of Hope upgrades, I'm swapping out the stock Boardman CXR wheels to Hope's 20-FIVE Pro 4's with 160mm Hope floating discs - they'll look good sure, but I'll have to wait for the next ride to see if they'll be a worthwhile upgrade. Managed to get a bit of "mud on the tyres"
So in conclusion... What do I think? I think the bike, as it comes from Boardman - out of the box, is great. The handling, weight, spec and components are very good for the price point and without upgrades this is a really enjoyable ride. For me, I'm going to change the wheels/discs (as I have them) but will keep the tyres, the saddle is going to be changed to a Selle Italia C2 Gel Flow (because I use them on my other bikes), brake callipers and a change to a 1x11 setup may also follow but I'm not planning on this, it'll happen if I spot a deal! So all in all this is a great package at a great price. A cyclocross bike doesn't have to be for racing - it's a great bike for getting out in the winter (and summer) and will open up some new and "different" routes to us roadies - go on, you won't look back I promise. The yellow/orange sidewalls on the Challenge tyres look good (in my opinion!) against the rest of the bike but its the grip and control that you get from them that really makes a difference. 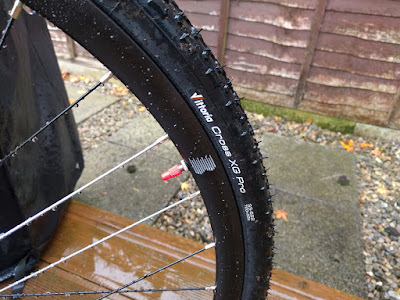 With a high tread count (TPI) meaning that you can run the tyres with much lower presser than normal for clinchers you still retain control with bags of grip. The Hope wheels roll well thanks to the Pro 4 hubs and make that distinctive Hope "buzz" from the freehub which I know and love having ridden Hope hubs for years. The added bonus with Hope hubs is the ability to change the end caps really easily so I swapped out the rear from standard QR to 10mm QR which acts much more like the bolt-thru axel on the front wheel and helps to stiffen up the rear end. Lastly the Hope rotors - again, I've always ridden Hope brakes and rotors, they just work and the rotors have the added bonus of looking good too! 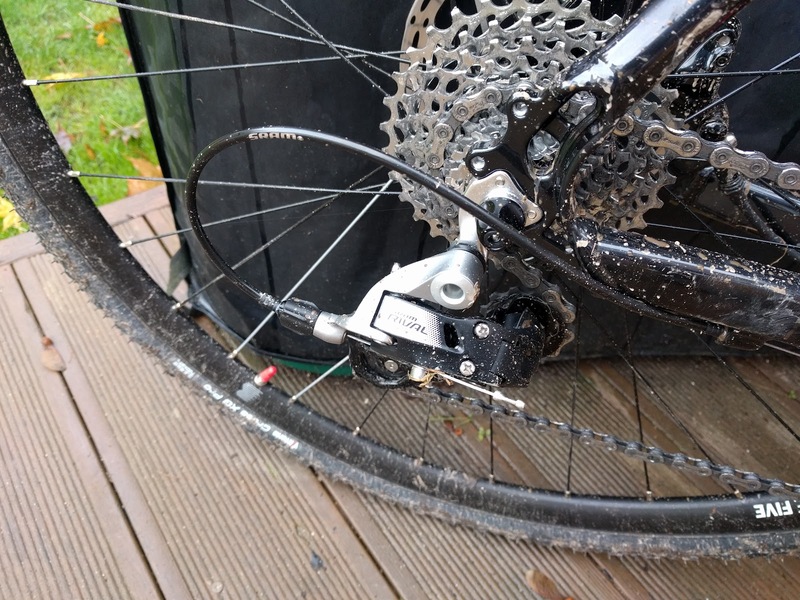 They can be a bit of a pain to set up due to their width and the bolts connecting the spider to the "floating" disc clipping the calliper housing or adapter but, as this bike is running 160mm rotors with no need for adapters they were fairly easy to set up and get running freely with the SRAM Rival callipers. It would be interesting to see how the newly released Hope RX4 calipers work on the CX bike with the SRAM brake levers.... but don't watch this space too closely on that one, for once I don't think I can justify that for a bit of extra bling!